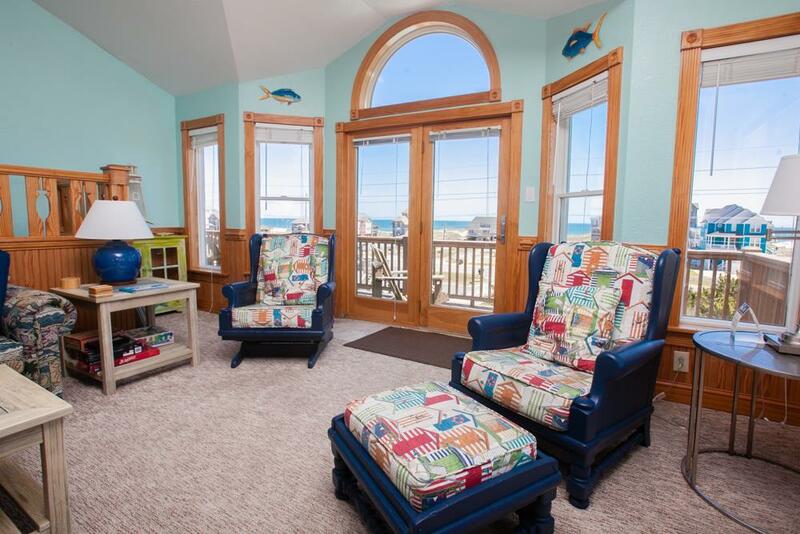 Calling all water-sports enthusiasts and vacation experts you dont want to miss out on this well-crafted and perfectly positioned Rodanthe beach house. Whether you are looking for an excellent investment opportunity or a true second home, look no further than "Hit the Beach. Offering both deeded sound and beach access, and conveniently located just two lots from the sound (access just a mere 355 ft. away) and one lot from the ocean (a short, two-minute walk). And with the Jug Handle Bridge construction underway, getting to the beach will become even more of a breeze!! Exterior features include an expertly constructed custom-built storage for windsurfing, kiteboarding, and kayaking gear, plus a private pool, 6 person hot tub, storage shed, and outdoor shower. There is also space to park under the house with dry-entry access into the home. 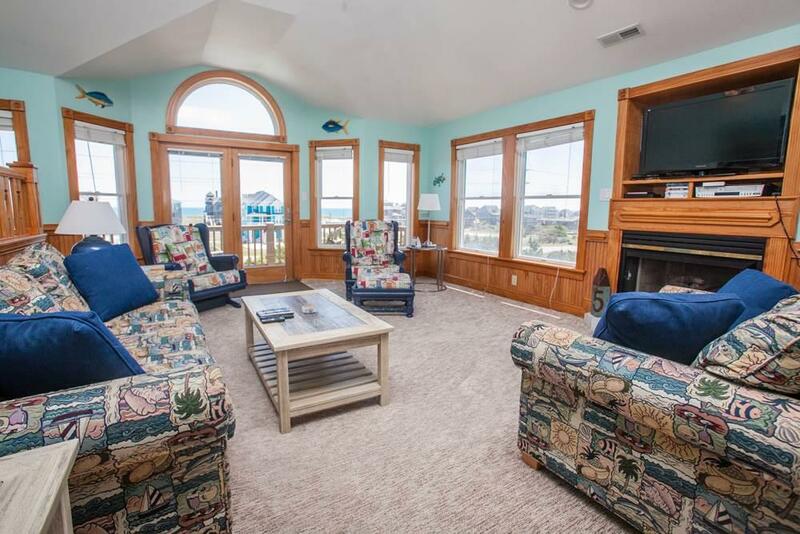 The interior presents a spacious and open reverse-floor plan boasting panoramic ocean to sound views, finely detailed trim work (check out the Coastal Living inspired balusters), and stylized furnishings. The first floor living area houses a full-size laundry room, Queen master bedroom and bathroom, and a large game room (complete with half bath, wet bar, and pool table). The second floor houses 2 master bedrooms (one Queen and one King), plus 1 bunk room with 2 bunks (sleeps 4) and 1 room with 2 twin beds that share a Jack-and-Jill bath. 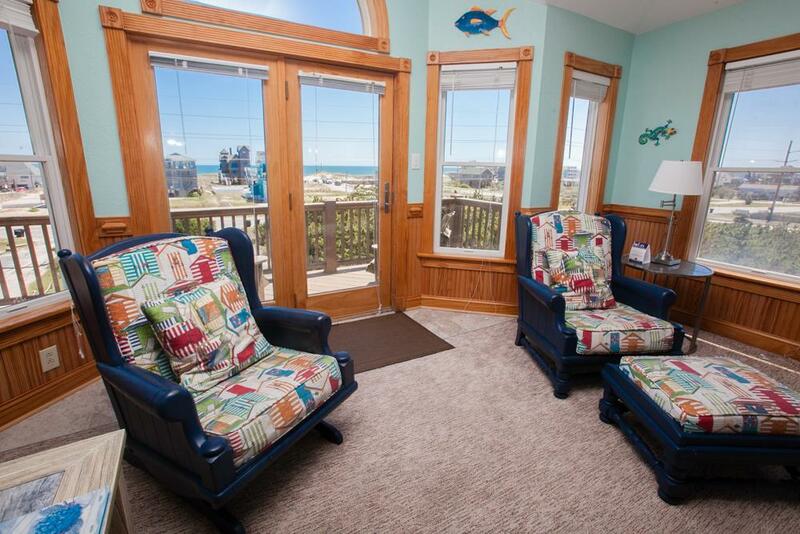 Move up to the third floor great room and you will be awed by both the sunrise and sunset viewing opportunities. Panoramic 360 degree views! 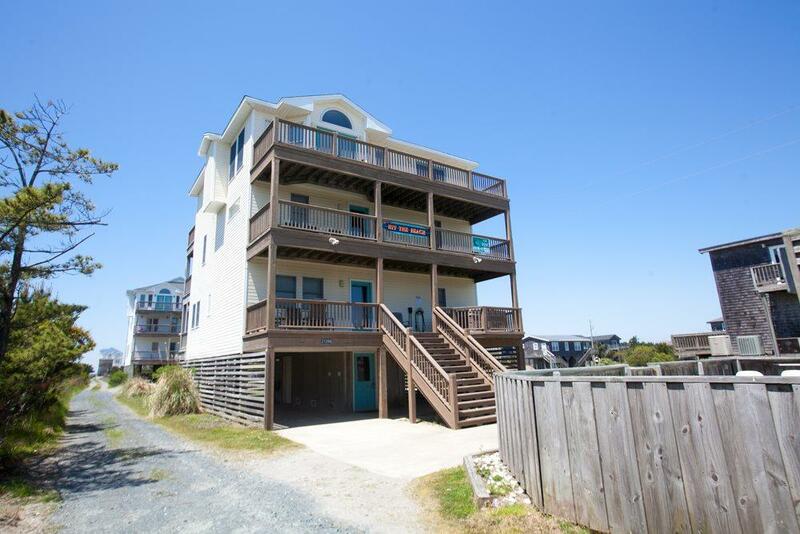 The open living room, dining room, kitchen, and master bedroom all border either ocean side or sound side decks (6 total throughout the home) and has additional conveniences such as a half bath, and second dishwasher/wet bar for entertaining. The recently renovated kitchen includes all new appliances and countertops, and has bar-height seating for four. Plenty of space to gather the entire family!! With shopping, dining, and other family entertainment just a short drive or bike ride away, you are ideally located for any island adventure you seek. Inquire today and dont forget to ask about the great rental history!! !